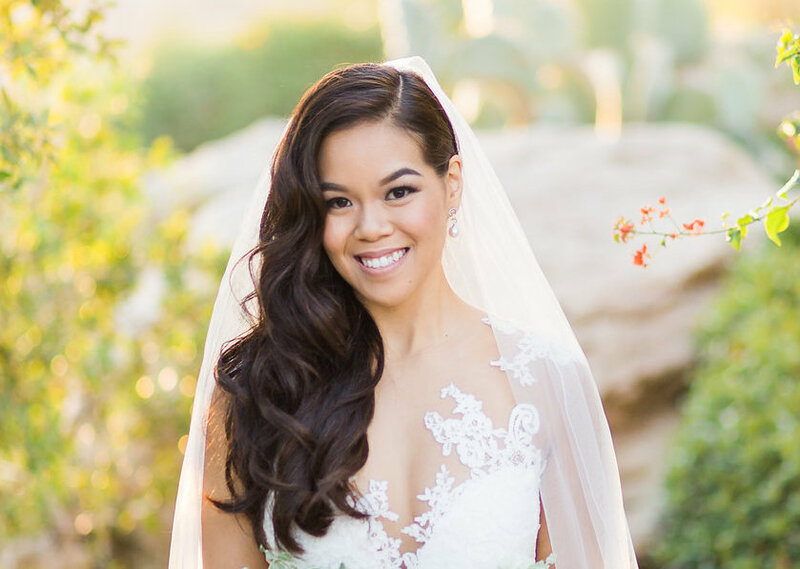 For the Bride, our services include false eyelash application unless otherwise stated, customized foundation for your skin type and skin tone, and a personal touch-up kit. Airbrush is available upon request, at an additional fee. We highly recommend a trial in advance to review up to (2) looks to help you decide on your 'day of' makeup and / or hair. We can accommodate your full bridal party as needed for makeup, hair, or grooming. Services are offered for everyone; women, men and children. Price is available upon request. Our travel is complimentary for up to 20 miles of roundtrip travel from Cypress, CA.